Hilgay01553 763044work VillageThe Village of Hilgay is 4 miles south of Downham Market. It sits on a raised isle, around 20 metres above the surrounding fenland, this elevation having become more pronounced as the draining of the fenland has caused the ground to shrink. It was notable in Saxon and early Norman times for the large numbers of fish and eels found in the locality. Hilgay Old Bridge and the newer bridge of the A10 cross the River Wissey at the northern edge of the village. George William Mamby, who lived for much of his life in Hilgay, is buried in the churchyard, and his memorial celebrates his invention of a rocket to send a line to ships in distress. Prototypes were tested from the roof of the church tower, and he was awarded £2,000 by Parliament, as use of the device had saved 230 lives by 1823. The church, All Saints, is set away from the village centre. A considerable amount of restoration took place in the 1860s, although the tower predates this by about seventy years. 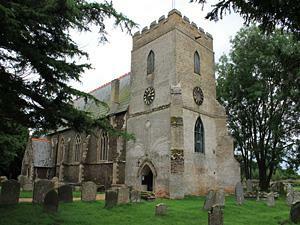 The Village of Hilgay is 4 miles south of Downham Market. It sits on a raised isle, around 20 metres above the surrounding fenland, this elevation having become more pronounced as the draining of the fenland has caused the ground to shrink. It was notable in Saxon and early Norman times for the large numbers of fish and eels found in the locality. Hilgay Old Bridge and the newer bridge of the A10 cross the River Wissey at the northern edge of the village.